Leading a manufacturing operation is a series of potentially business-changing decisions. From minute details to major changes, one hiccup could cut into profits, strain customer or supplier relationships, or damage your reputation. From equipment to suppliers to software, your manufacturing business differs from nearly every other manufacturing organization, and your path to business growth is unique. While many of these decisions are scientific, based on a limited number of potential suppliers who can meet your exact needs at the exact time, one of the biggest and most important decisions that a manufacturing organization can make also poses some of the biggest challenges. This decision, of course, is the selection and implementation of an Enterprise Resource Planning (ERP) solution. There are dozens of ERP options available for businesses, ranging from small business-focused accounting option to products designed for multinational players. The difference, of course, is that while the ERP software market is saturated with general products, there are a limited number of options that are designed to handle the needs of manufacturing organizations. Manufacturers need focused software that is ready to work for them, as a company in Food & Beverage manufacturing has as much in common with an Aerospace manufacturer as they do with a professional services company. Unfortunately, too many software options are designed to cast a wide net—designed for the general business first and manufacturer second. Decades ago, this would not have presented a problem, as truly-focused solutions were only available to the largest players. Today, however, technology has become more accessible for mid-market manufacturers, and the gap between ‘leader’ and ‘follower’ is broadening, according to Aberdeen Group. What Separates Leaders from Followers? According to the 2017 Aberdeen Report, “What Do Manufacturers Look for in an ERP Solution?”, manufacturing organizations have become increasingly aware that they need a focused solution, and are putting in the time and effort to research and select the best possible product for their unique needs. In fact, the study found that manufacturers have prioritized industry-specific ERP solutions more than any other industry. In turn, the companies putting significant time and effort into making the right decision are the same ones who have found themselves in the ‘leader’ category: Top-performing manufacturers are 46% more likely to ensure that their ERP solution is aligned with business objectives, seeing ERP not as a cure-all, but as a major component within their technology stack that makes life easier for everyone from the shop floor to the top floor. Manufacturing-first ERP differs from traditional accounting software or ERP because it was designed to provide additional modules, integrations, and functionality that organizations in other industries would never use. 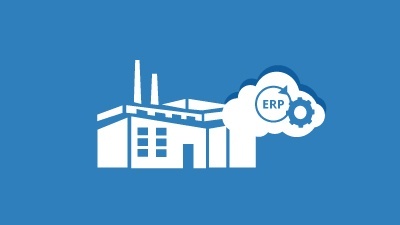 Beyond this, manufacturing-first ERP can be customized for unique manufacturers (i.e. 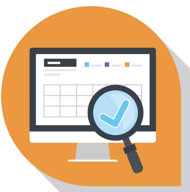 certain manufacturers will need specific functionality to handle product recalls, while others will not). Whether you’re outgrowing your current software, finding that your legacy systems aren’t ready to handle your needs, or you’re looking for something more suited to your processes and needs, the right advice, assistance, and support can make or break your ERP journey. At Cloud 9 ERP Solutions, we understand the challenges that manufacturers face in selecting ERP software, and have supported companies just like yours throughout their journey. We invite you to download the entire Aberdeen Group report, “What Do Manufacturers Look for in an ERP Solution?” to learn more about the four best practices for selecting manufacturing ERP and to learn more about the necessary functionality included in Acumatica Manufacturing Edition here. Ready to take the next step? Contact Acumatica Gold Certified Partner Cloud 9 ERP Solutions today!